(New York, NY) – Razor & Tie announces the addition of the Finnish rock band HIM (His Infernal Majesty) to its North American label roster. The band has completed work on their forthcoming new studio album, Tears On Tape, which will be released on April 30th on Razor & Tie in North America/Canada and on April 29th on DoubleCross (Cooking Vinyl’s specialist rock imprint) in the U.K. and Ireland. Tears On Tape will be the “Love Metal” band’s eighth official album and was recorded in their home country with long-time producer Hiili Hiilesmaa and once again mixed by long time-band associate, Tim Palmer (U2, Ozzy Osbourne, Pearl Jam, Robert Plant). first Finnish act to achieve platinum sales in the U.S. To date HIM has sold a combined 1.75 million albums and over 1 million digital tracks in North America. 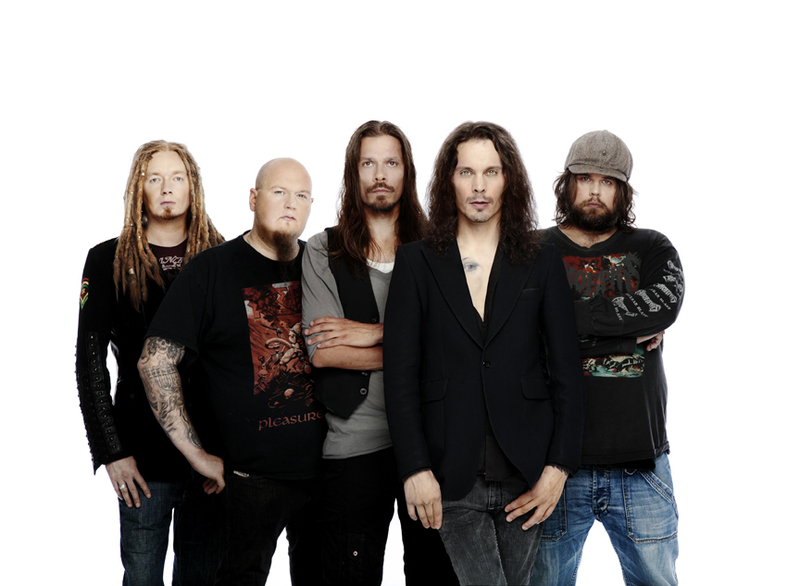 HIM’s current lineup is Ville Valo (Vocals), Mikko “Linde” Lindström (Guitars), Mikko “Migé” Paananen (Bass), Janne “Burton” Puurtinen (Keyboards), and Mika”Gas” Karppinen (Drums). The band is managed by Seppo Vesterinen at Hinterland, Inc and represented for U.S. touring by Justin Hirschman/AGI. A formidable live act, the band will be announcing a U.S. tour next week and is already confirmed to perform at this year’s U.K. Download Festival in mid-June. Grammy awards in its 20-year history. New Album News from HIM’s Ville Valo! News on HIM’s New Album!